I can’t think of the last time I read something that did as good a job of explaining how I am currently painting than this article on Massive Voodoo. I’ve waffled back and for on the idea of making blog posts pointing to other people’s blogs. In the end I’ve decided that if I turn someone on to a new blog or help someone who doesn’t read a lot of blogs find the best stuff than it’s worthwhile. What do you think? All original content or should I make these kinds of posts? I tried to get permission to use his image in this post but he doesn’t seem to be responding to comments. If you are looking for tips feel free to leave me a comment here. Yes, you should definitely post such blogs as this! Thank you!!! I have been looking for a good infinity tutorial for some time. 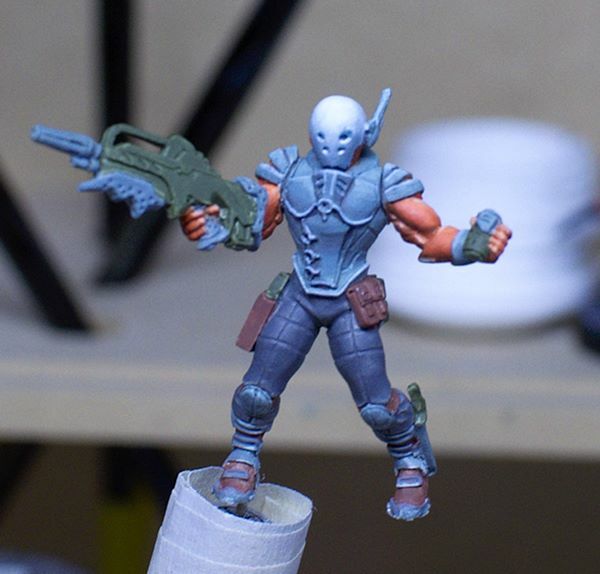 I only have 1 infinity miniature, but I have lots of deadzone miniatures to paint. The DáoFêi paint job is very close to the Enforcers. I have bookmarked both your blog and Massive Voodoo.